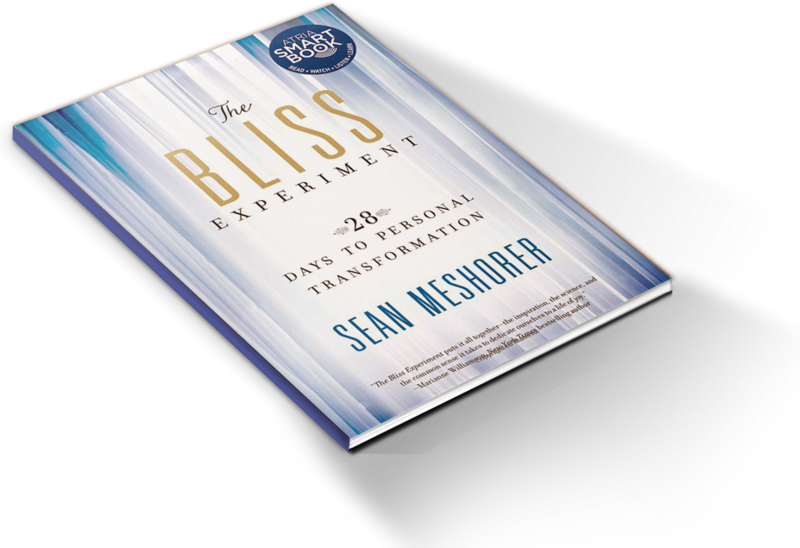 Blissful fulfillment and well being is made accessible by this timely book by Sean Meshorer, providing us with the necessary tools and spiritual techniques to transcend anxiety and despair and find--within ourselves and our lives--what we are genuinely seeking. Along with his month-long transformation-thru-attention program, here you'll discover excellent stories and anecdotes, wisdom and delight. Don't miss this portal to the treasure trove of deep happiness now. Help yourself! The Bliss Experiment puts it all together -- the inspiration, the science, and the common sense it takes to dedicate ourselves to a life of joy. For those who are ready to choose smiles instead of tears, this book is really great. This is the rare book from which people with varying backgrounds and spiritual interest will all find insight and practical benefit. Read it and see what I saw: the deep way that Sean Meshorer understands how to uncover greater happiness, awareness, and spiritual success within yourself. Not only does Sean Meshorer reveal that the organic essence of every individual’s existence is bliss, there is no need to move to a Himalayan cave to experience it! The spiritual practices he teaches have proven in countless lives that in this now moment bliss can become our natural way of living, that we already have within us all the causes of bliss. Every once in a while a book appears which inspires and transforms our understanding of ourselves, our species, and a greater spiritual reality. If you are seeking to discover peace and joy in these historic and challenging times, The Bliss Experiment provides the essential knowledge and tools. In clear, concise chapters, [Meshorer] brings together concepts like forgiveness, gratitude, living in the present, meditation and the power of service above self…[This] book will have broad appeal.